Some dentists elect to have the dental laboratory “design” your smile. 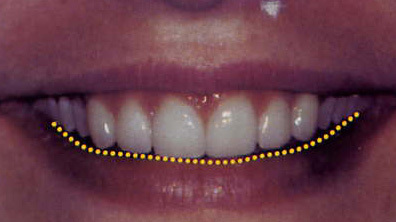 Other dentists have different systems of smile design. This is what we do. We start with a smile evaluation. This is always complementary and simply involves a couple of digital pictures. We will then look at the pictures with you and together, you decide what changes you would like to make…a touchup or a transformation. Our goal is to get you the smile you desire with the minimum amount of dentistry possible to achieve stable and pleasing results. 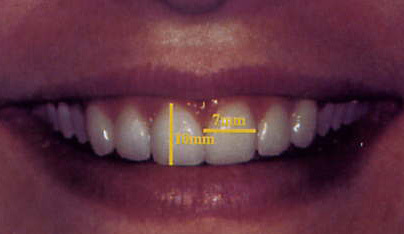 Your smile is analyzed for golden proportion, color, shape, lip line, symmetry, alignment etc. Once your desires are clearly communicated we make a stone model of your teeth and construct your new smile on the stone teeth. This allows us to visualize the changes that are to be made. This also allows us to visualize your final smile with your temporaries. We work with Aurum Ceramics, a world renowned cosmetic dental lab. 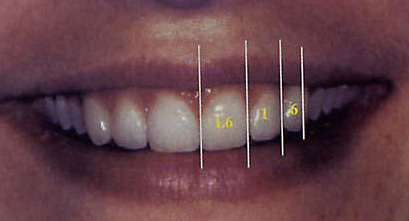 Some dentists send your impressions with the instructions to the lab “make veneers”. We give detailed instructions including tooth length (down to the 1/100th of a millimeter. ), digital pictures, color mapping, and characterization details. Your restorations are hand crafted and bonded to give you a natural, long lasting result.